This is the third year that we have handed out The GS Employee Awards. As our organization grows and aides more and more patients and families, it is important to recognize those who have made it possible. We have welcomed several new employees to our organization this year who have been all-stars; however, we have chosen to recognize our tenured employees who have gone above and beyond consistently throughout the years. From the beginning, our slogan has been “There’s no place like home…for Senior Care”. As you continue to read, you will notice that we have “borrowed” the slogan as well as the name of our awards from the famous movie, The Wizard of Oz. Tinman Award: Treena Koroneos (top middle with Tulane Patterson). Treena is known for successfully sharing our core mission with the Lynchburg community for 13 years. She is a self motivated facilitator who is compassionate, trustworthy and encouraging to others. She won’t take no for an answer and always has the clients best interest at heart. Scarecrow Award: Angela McCabe (bottom left). Angela has held several positions within our company and has always been flexible and eager to learn. She has the patience of Job and is creative, persuasive and has excellent critical thinking and problem solving skills. Lion Award: Diana Massie (bottom middle). Diana is courageous and brave during even the worst of situations that occur throughout the day. She possess the ability to resolve issues and delegate them appropriately and is determined to accommodate our clients, employees and vendors needs each and everyday. Dorothy Award: Darlene West (top right). We consider this our employee of the year award. Darlene is continuously learning and applying information about our industry to increase our quality of patient care. She is goal oriented and reliable and posses a great understanding of our mission. She is flexible and able to get out of her comfort zone for the betterment of the company. 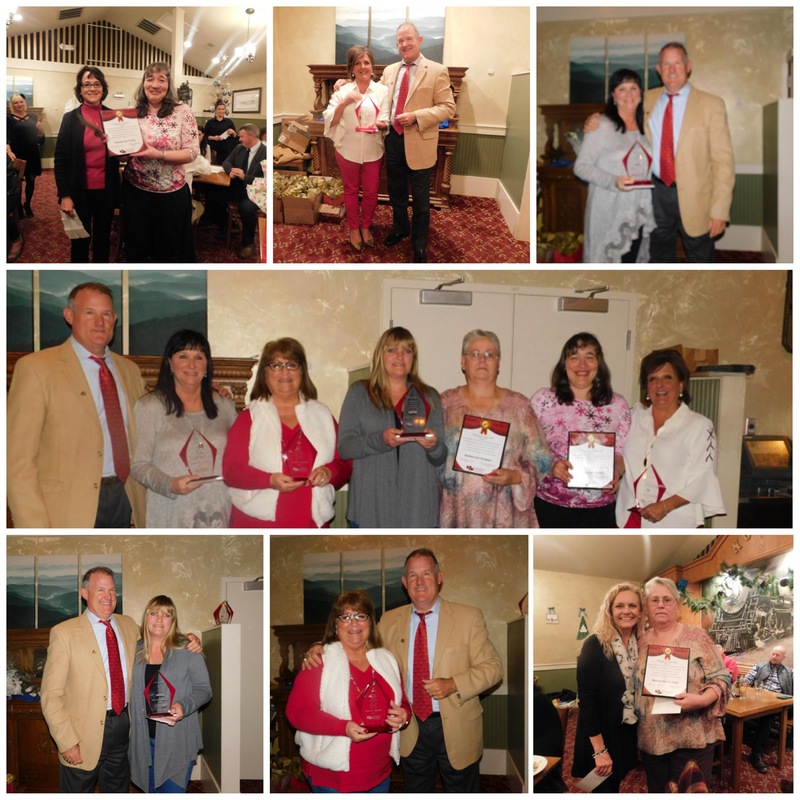 The Mary Sadler, Caregiver of the Year Awards: Barbara Bucknam (bottom right with Lois Larson) and Veronica Vincent (top left with Lisa Moore). Mary Sadler was one of Generation Solutions’ first employees who will forever be remembered and appreciated. Each of these ladies are caring, determined, dedicated and hard working; they remain strong in difficult situations. Mary Sadler would have been proud of you both for being the best caregivers that Generation Solutions has to offer. We would like to thank each of you for your dedication to serving our clients, patients and their family members and allowing us the privilege to work with you. Generation Solutions would not be the reputable company that we are today without you all!